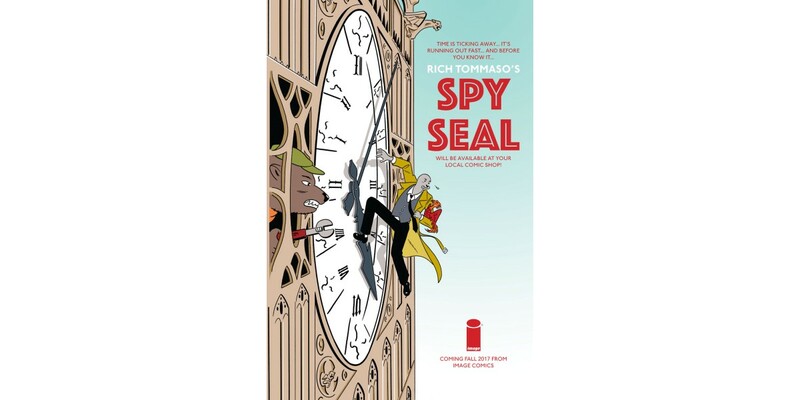 When critically-acclaimed cartoonist Rich Tommaso (SHE WOLF) posted his drawing of a character Spy Seal on Facebook he had no idea it would be met with such immediate fan enthusiasm, Hollywood studio interest, and an ongoing series announcement. Image Comics is pleased to reveal that SPY SEAL by Rich Tommaso is now slated to hit stores in 2017. Penned in a clear-line style reminiscent of something between Hergé's TINTIN and Stan Sakai's USAGI YOJIMBO, the first season of Rich Tommaso's SPY SEAL plunges readers deeply into the exciting and dangerous world of international espionage. Filled with all manner and species of spies, saboteurs, snipers, assassins, and double agents, our man (er… seal rather), Spy Seal must exceed them all to find out exactly what politically sensitive information lies within the mysterious Corten Steel Phoenix that all of Europe is dying to get their hands on. SPY SEAL #1 will hit stores in 2017.